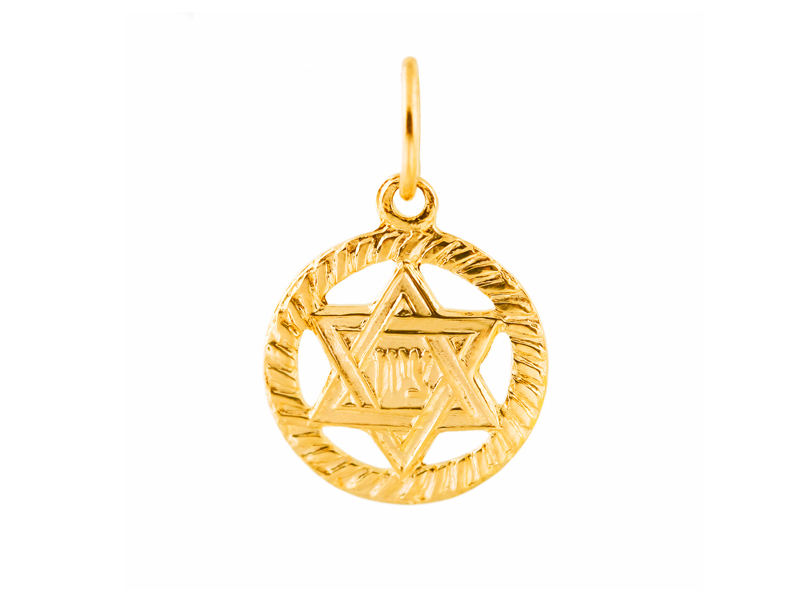 This lovely Star of David pendant is made of 14k gold. Encircled by a rope design, the star of David has a raised outline and a filled center. The word ‘Zion’ is embossed in the center. This pendant is refined and tasteful, a wonderful gift for any special occasion! Pendant is available in both yellow and white gold.